We Manufacture a Wider Selection of Gun Shims than any other Company in the World. We feel our Ruger 10/22 shim kit is the most complete Gun Shim kit on the market, and our Smith and Wesson J-Frame and Ruger Double Action shim kits are, to our knowledge, the only ones made! We sell products from many fine U.S. and North American manufacturers such as; Wolff Gunsprings, Volquartsen Custom, Tuffer Buffer 10/22 Bolt Buffer, Power Custom, Leapers UTG Pro, Gibbs Brand, Gun-Guides and others. Foremost Quality for Your Consideration. If you won't sign-up with the NRA now, don't complain when the Government insists you sign up for Gun Registration later. I saw one of your YouTube videos about putting shims in a Double Action Ruger. I was able to disassemble my GP100 and gauge the side to side hammer play with ease. If I could tell the public anything about ya’ll it would be: Your products are all top quality, first class, and do the job. It is obvious, to me, that you are an honest person, trustworthy are to be complimented on how you run your business and treat your customers. It is a true pleasure to deal with you. In a nutshell...You are a True American. We take enormous pride in the quality of our products, and hope that you'll find something on our website that you like. We make every effort to sell MADE IN THE U.S.A. Products when available. We look forward to doing business with you, and hope you come back often! I saw my first Brownell's Catalog over 25 years ago, and it has since become a mainstay in my shop. Top Notch Products and Service, and a Guarantee Second to None. Tammy and I are Proud to be Affiliated with Brownells, and we hope you will pay them a visit, maybe spend a buck or two. If you do, be sure to order a Brownells Catalog, I think it is the best use of paper ever known to man outside the Holy Book! We hope you find what you are looking for here, but if not, Please click our Link to Visit Brownells. 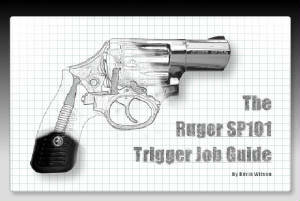 TriggerShims is a Sales Affiliate with Brownell's and receives a small commision when you buy through our link. Offer Good while Supplies Last... Maybe All Year!! Compare our price to Midway USA and SAVE! Compare our price to Timney Kit at Midway USA and SAVE! Sorry I do not take telephone charge card orders. The easiest way to Measure your Trigger or Hammer assembly is with a simple blade type feeler gauge. I sell a decent quality imported set you can include in your orders. This Gauge will measure from .0015" up and is perfect for general use. See our "Contact Us" Page for Details. "Cast your burden on the Lord and he will support you! 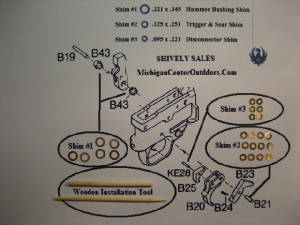 TriggerShims is a Sales Affiliate with Brownell's and receives a small commision when you buy through our link. Thank You!